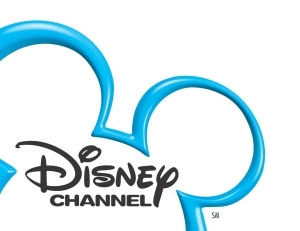 Disney Christmas season programming is coming later this month and new episodes of many of their shows are planned including a crossover episode of “Good Luck Charlie” and “Jessie“. The crossover episode is supposed to air on November 29th with a one hour special in which “Jessie” star Debbie Ryan performs a new Christmas themed song. Disney also has other Christmas specials and musicals in store which include a musical episode of “Austin and Ally” which will feature a duet with Austin (Ross Lynch) and Ally (Laura Marano). December usually is the month for “Fa-la-la-lidays” – The network’s December shows usually have a holiday feel and for the last few years have been called “Fa-la-la-lidays“. This year seems to follow that same plan and “Fa-la-la-lidays” will officially kick off on Friday November 29th. Also, during the month, Disney comes out with some Xmas themed movies. In previous years they have aired the The Christmas Visitor, The Ultimate Christmas Present, ‘Twas the Night, Beethoven’s Christmas Adventure, and Good Luck Charlie, It’s Christmas! Along with their seasonal movies, the network usually casts and films seasonal episodes to air this month. “Liv and Maddie” has an episode planned this season in which Liv (Dove Cameron) sings a holiday song. “A.N.T. Farm”, “Dog With A Blog” and “Wander Over Yonder” should also have some holiday themed shows. 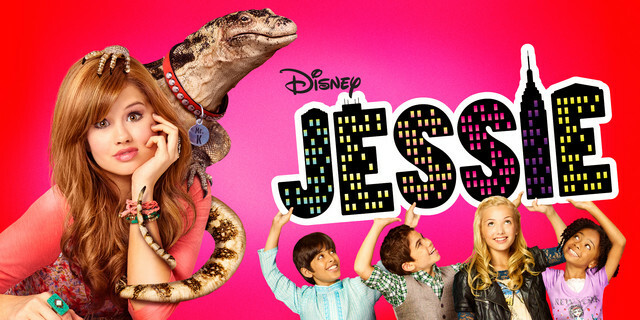 A recent Disney Channel press release has listed the following special episodes that will air this month starting with the special episode of “Jessie” and “Good Luck Charlie”! “The Little Guy” – When the tiniest Watchdog cadet, Westley, is accidentally left behind on a planet, Wander and Sylvia befriend him and pretend to be his prisoners to help him reunite with Hater. Guest starring Aziz Ansari (“Parks and Recreation”, “Scrubs”, “This is the End”) as Westley the watchdog. So lets get ready for the Holiday season, Disney style…. stay tuned for the special episodes coming up. If you are looking for Disney Auditions, There will be an open casting call for the Upcoming Disney Studios movie, Star Wars . Those auditions will be taking place nationwide in the US and the UK. If you are looking for extras casting calls, you can try Central casting. Leave some comments and tell us what you think of the new holiday episodes and who you think should be cast in them! It would be my pleasure to join Disney channel and perform. I’ve been singing since I was just a little girl. Hope one day I get to join the disney cast. From Thailand, Bangkok but I now live in WA Perth Australia. Hi, my name is Amber Calloway and I Act, sing, model and dance. I enjoy Disney Chanel and I believe this is a opening in my career. My dreams are to become a famous Singer, Actress, and Model. I have come a long way. I have modeled in the past for a Wedding and prom dress company called “I Do” the company had currently shut down, but are still selling dresses personally. Thank you for your time. And please fill free to notify me any time. Hi. My name is Christine and I love the show Jessie. I love to act. I usually act a lot at school. I really hope I can act on your show. Hi I am Myranda! I sing good, I can act and I will do my best to do whatever. Hey my name is DeLaney Davis. I am a very good actor an singer. I have brown eyes and brown hair. I am 11. I think I am great for the show Jessie. I am very spunky and love to dress in bright colors. I would fit great and get along great with the cast. I think I am going to audition in 2014 I live in Indiana by the way. hope I get the role. BYE. My name is sadie, I am 12, almost 13 in December. I love to dance and I love sports. I have brown eyes and brown hair. My hair is short though and I have always wanted to be on disney channel. Hi my name is Jose Gonzalez . I am a very good actor . To be on Disney channel would a dream of mine. If you pick me I’ll never let you down. Information : Age 11, DOB 06 – 18 – 02, Height 5’0 , Race Mexican – American. Name Jose Gonzalez. If your interested please send me an e – mail. By the way I used my moms e – mail, because I don’t have one. My name is Ella Gilks and I am 14 years old. I can dance and love to act. I am 5’5, brown curly hair with brown eyes and the person that inspired me is Selena Gomez. I live in Cambridge and am willing to take any sacrifice to help me get on Disney channel.